Are you having problems securing your garden? Has your Garden been broken into recently? 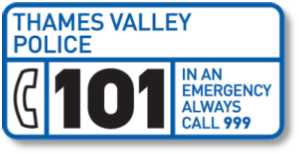 Follow the advice from Thames Valley Police on this link and it will give you all the advice you need to secure your garden and prevent any thefts or Burglaries happening. 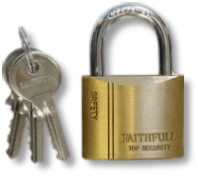 At the Garden Centre we sell Faithfull Tools and other brands of Brass Padlocks. Ideal for locking gates and Sheds. We supply several different sizes of heavy duty trellis. It has been said that a 2 metre (6'6") fence all around the back garden will help keep the house secure but, unfortunately, most burglars are quite athletic and such a fence can be scaled. If the fence is topped with 30 to 45cms (12-18") of open ended or other similarly weak trellising, i.e. that cannot support the weight of a human, the prospective burglar will be unable to climb it without a risk of being seen and physically breaking the trellising. The noise of this alone and the risk of injury is a deterrent in itself. There are also many different types of plants that can help protect your home against burglary. These include Common Holly, Roses, Firethorn, Blackthorn, Juniper, and Mountain Pine.